Did you know that art is everywhere? And if we don’t see it, we create it! 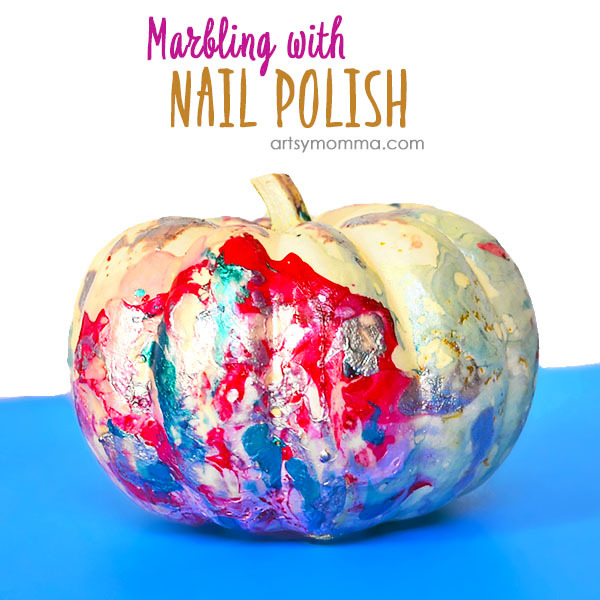 Since we love Halloween, we decided to try the marbling pumpkins with nail polish technique. It’s a bit on the smelly side, but the pumpkins we decorated with the nail polish turned out so pretty! I am so excited to share with you how we made them and, hopefully, it will inspire you to want to make some with your kiddos, too. *This post contains affiliate links. Please read our full disclosure policy here for more info on this. 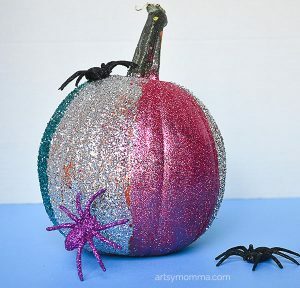 Mini pumpkins – we used white, but orange would also work. Different colors of nail polish . Container that is big enough to fit the pumpkin, and that can be tossed out when finished. It’s important that you do this activity outside or in a well-ventilated area. I also suggest setting your finished pumpkins outside to dry. Get all your supplies ready including choosing nail polish colors and laying down newspaper and/or a paper plate. I used both for our mini pumpkins. Fill the container with lukewarm water. 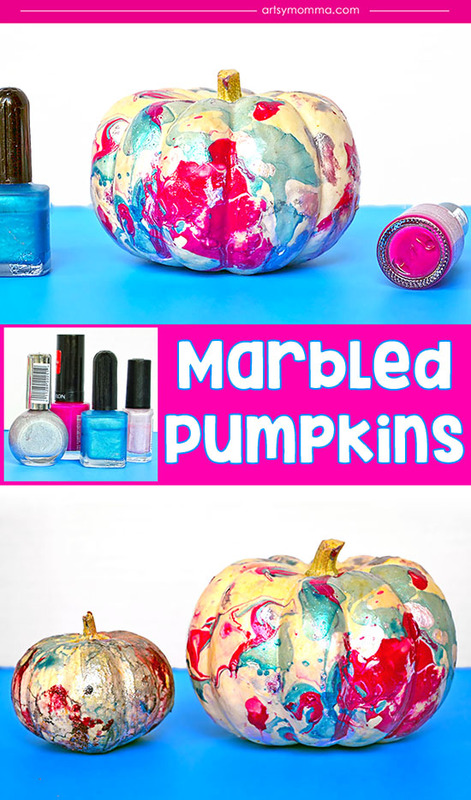 Add the nail polish, a little bit at a time, in all the colors you wish to see on your pumpkin. Dip the pumpkin into the colored water and set it aside to dry. Repeat with the top half if you’d like. *Important: If you try to swirl the nail polish with your finger or a stick, the nail polish will attach to it. If you do decide to use a stick, make sure to drag it through gently, lightly, and quickly 🙂 Otherwise, make sure to do your swirling as you are pouring the nail polish into the water. 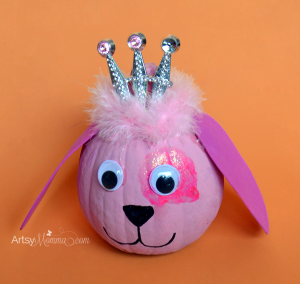 *Tip: The black nail polish we used on the smaller pumpkin was cheap and old. I didn’t like how it looked on the pumpkin. If using older nail polish, be sure to test it on something else first (if you only have 1 or 2 pumpkins). 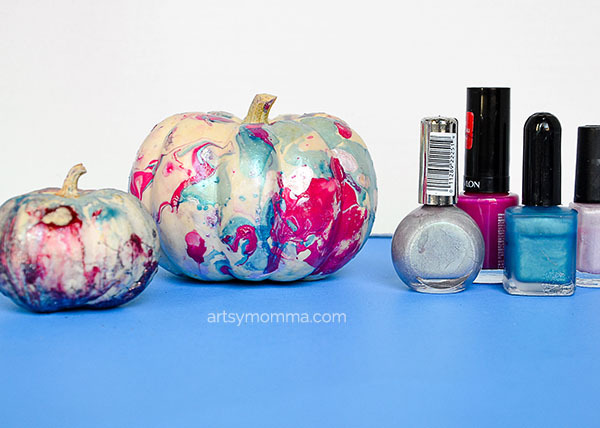 This marbling nail polish technique for decorating pumpkins is so cool. Little Sister loved how it looked! You can try it on pumpkins like we did this Fall, but it’ll also work on other objects. Use seasonal colors for your nail polish choices or pick your favorite colors. Enjoy this craft!